Amitabh Bachchan and Taapsee Pannu's second film together Badla has completed two weeks in theatres and so far the crime thriller has had a fantastic run at the box office. Helmed by Sujoy Ghosh, the film is getting cash registers ringing not just in India but abroad as well. Considering the project involves three terrific artists - Big B, Pannu, and Ghosh - it's not surprising that their film has turned out to be a crowd puller. After having a good run in week 1 and entering the Rs 50 crore club, Badla has now achieved yet another feat. It has surpassed the lifetime collection of Pink and 102 Not Out. Badla Box Office Collection Day 11: Amitabh Bachchan and Taapsee Pannu Starrer Set to Surpass Lifetime Collection of Pink, Grosses Rs 70.52 Crore. Announcing the news, film trade analyst Taran Adarsh took to the popular microblogging site Twitter and wrote, "#Badla shows excellent hold in Week 2... Crosses *lifetime biz* of #102NotOut and #Pink... [Week 2] Fri 4.05 cr, Sat 6.70 cr, Sun 8.22 cr, Mon 2.80 cr, Tue 2.60 cr, Wed 2.60 cr, Thu 2.35 cr. Total: ₹ 67.32 cr. India biz. Gross BOC: ₹ 79.44 cr." He also tweeted, "#Badla⁠ ⁠biz at a glance...Week 1: ₹ 38 cr, Week 2: ₹ 29.32 cr. Total: ₹ 67.32 cr. India biz. HIT." Apart from Senior Bachchan and Taapsee, Ghosh's directorial venture also stars Amrita Singh, Malayalam actor Tony Luke, Manav Kaul and Tanveer Ghani in pivotal roles. 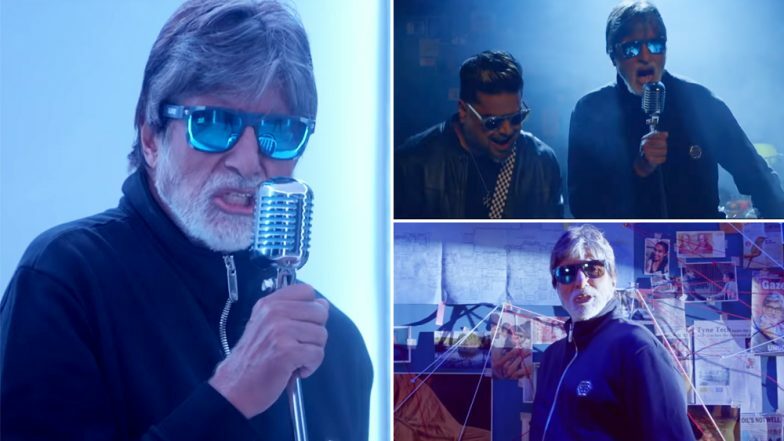 Badla Box Office Collection Day 10: Amitabh Bachchan and Taapsee Pannu Starrer Mints More Money Than Captain Marvel Over the Weekend, Grosses Rs 66.90 Crore. Badla, which is produced by Shah Rukh Khan's Red Chillies Entertainment, has already been declared a hit and is now eyeing to end its run in theatres with a mighty impressive number. At the overseas box office, Badla had collected Rs 25.38 crore by the end of the second weekend. While Akshay Kumar's Kesari has arrived in cinema halls, only time will tell if it affects the box office business of Badla or not. After Nerkonda Paarvai Will Ajith Kumar and H Vinoth Collaborate Again for #Thala60?